We are now more than halfway through January, which means most people have cast aside their New Year’s resolutions already. 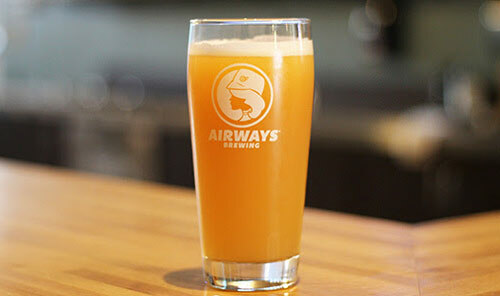 If you need help saying goodbye to “Dry January,” Airways Brewing introduces a brew to help you get back off the wagon: Resolution Breaker IPA. Here’s the release announcement from the brewery. You made your New Year’s Resolutions. Now, we’re going to try to break one of them. Hard to believe it’s that time of year already – that time where we tempt you with Resolution Breaker. What’s that, you ask? It’s like our Jumbo Juice, but cranked up a notch. An amazingly fragrant, juicy, balanced beer – filled with some of the hops you know & love (Citra, Mosaic, Amarillo), combined with our super-expressive English yeast strain. We took this beer to a new level this year and we think you’re going to love the result. Get it on tap at both of our locations starting today – before it’s gone for another year.